Destruction and nullity of a contract! ArticlesDestruction and nullity of a contract! the will should also be done through implicit actions - actions that make a clear conclusion on the content of the will of the legal subject. Declaration - when the unilateral will should be done before a public authority. The contract is null and void in the presence of an error. The error rests on a false idea of ​​reality. The mistake is important when it excludes the agreement between the contracting parties. That is, when it concerns the nature of the contract, the subject matter or the contracting parties. (b) Error in the subject of the contract: when one party believed that it was negotiating for a particular subject and the other for another. For example, the buyer thought he was buying Stich and the salesman, Titus. c) Error in the substance of the subject matter of the contract: when the buyer thought he was buying a golden vase and the vendor sold copper. It matters when it is caused by fraud on the other side. UNIRAFABILITY: Contractual destruction occurs when there is fraud or violence. 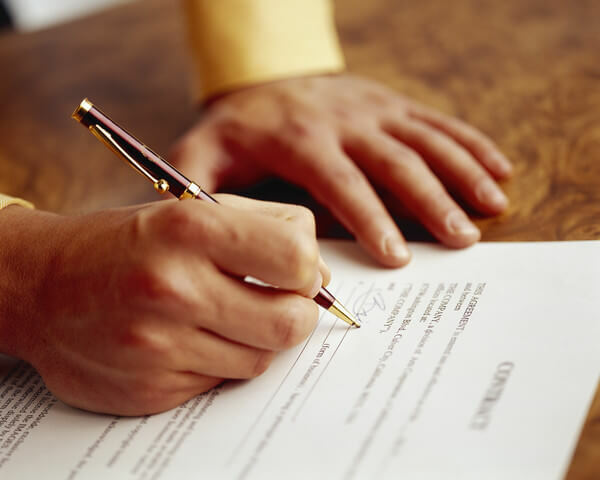 (a) Fraud impedes the agreement reached between the parties. Labeon defines the deception as a trick, a deception, a misuse used by one of the contractors in relation to the other to make him consent to the conclusion of the contract. Fraud begins to be taken into account at the end of the Republic. Initially, the struggle against fraud led to the de dolo, with which everyone negotiated, promising to pay the other damages and losses in the event of fraud. In the last century before the present era, the Pretoriol created an Actio doli - a suicide claim that was given by the magistrate within one year of the day when he revealed the fraud and only if the injured had no other remedy to eliminate the consequences. This is an arbitration claim, who ordered the defendant to pay the damages caused by his fraud in the event that he did not fulfill the judge's invitation to return what he had received under the defective contract. With the help of an exceptio doli, the injured person could always paralyze the opposite side. (b) Violence has been recognized as a ground distorting the consent of the parties in the last centuries. Physical violence has tended to bind someone in chains or close them in jail to be forced to conclude a contract or make a legal act. Psychic violence is a threat to the life, honor or freedom of a person or his or her relatives. Threat is the one that could impress a hard person. restitutio in integrum - restoring things in their former position. In such a case, the damaging effects of the defective contract were considered not to have occurred. actio quod metus causa - payment of the quadratic value of the damage suffered. He could have been brought against anyone who had received something under the defective contract. The claim is arbitrary. Destruction and nullity of a contract! Destruction and nullity of a contract!